When was chicken soup invented? There is no way to come up with a definitive answer, but the advent of combining ingredients in a pot to create a nutritious, filling, easy-to-digest meal (“soup”) probably occurred some moments after the discovery of fire, or perhaps more precisely, when prehistoric man took that first step in learning how to cook—learning how to boil water. And, after learning to boil water, man made another discovery. Boiling foods not only makes them taste better, it creates new flavors. Cereal grains and some root vegetables, when heated in water, break down, soften, and release starchy granules. These starches then thicken the cooking liquid, the flavors of the individual ingredients combine, and soup is created. 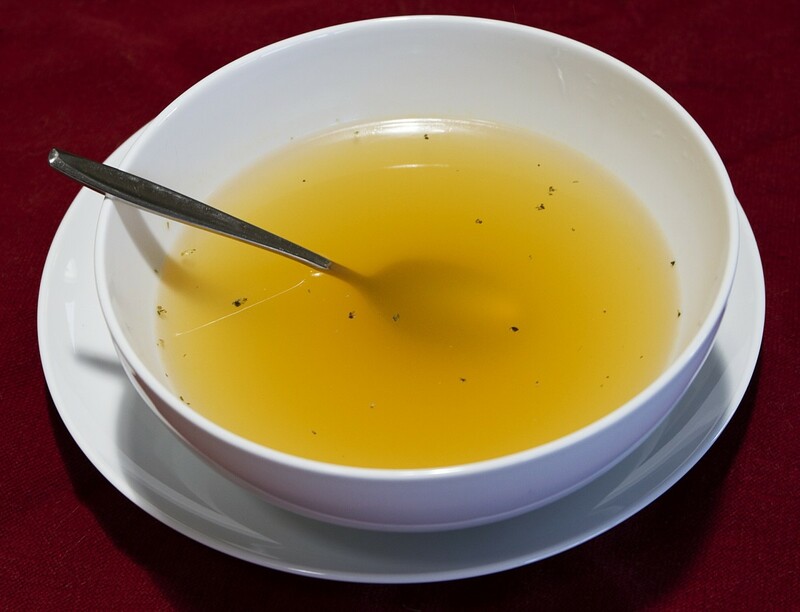 Sop was the name given to the thick gruel which was made in that first cooking of grain or vegetables with meat and water. 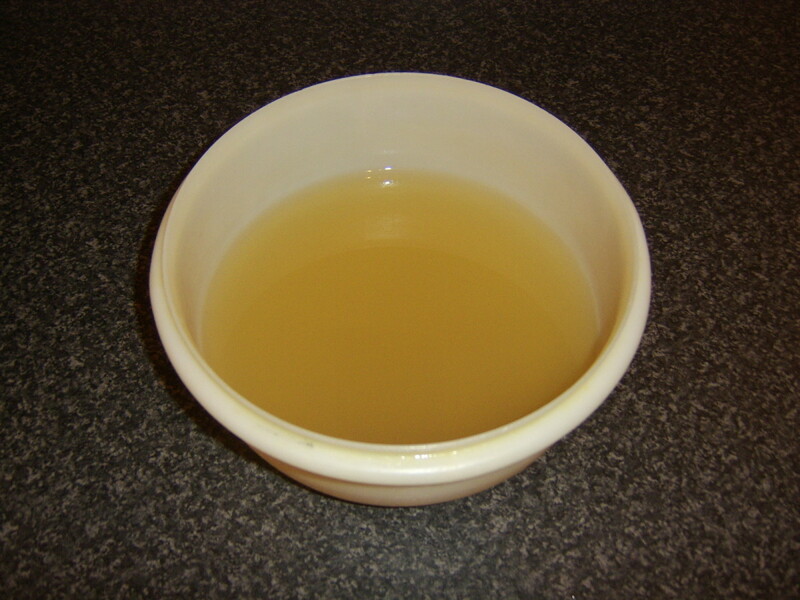 The “wealthy” made sop with broth poured on sliced bread. 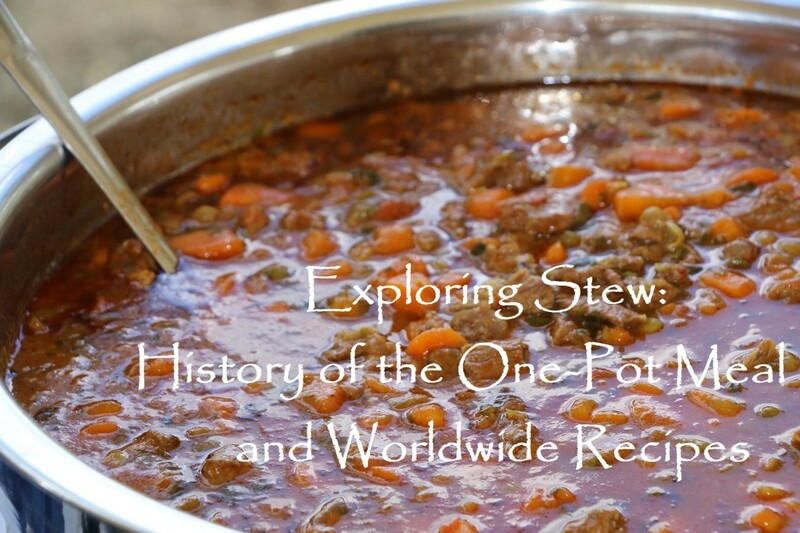 Many nations have sops (soups) that they have claimed as their own—Spanish gazpacho, Scottish (mutton) broth with barley, and Russian cabbage soup. 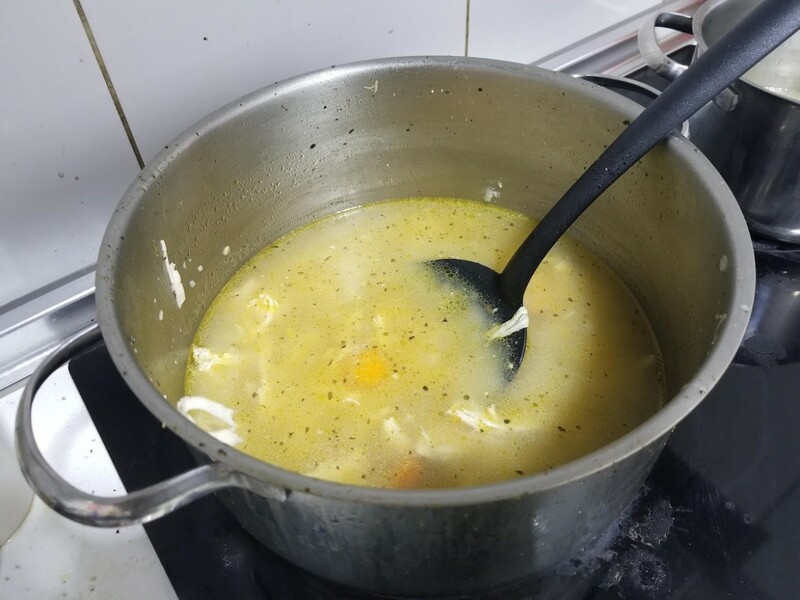 Each different soup was borne, not out of ethnic pride or a desire for individuality, but from a need for frugality and using local ingredients that could be easily obtained. And here’s where the chicken enters the story. The domesticated chicken has a long, complicated genealogy stretching back perhaps as much as 7,000 to 10,000 years. Fossil bones of what are believed to be a domesticated breed of poultry have been discovered in northeastern China—they date back to about 5,400 B.C. And that is just the beginning. Researchers assume that the ancestors of that northeast China chicken originated in a drier, warmer climate. The habitat of those ancestors, the red jungle fowl (Gallus gallus) was vast, stretching from northeastern India to the Philippines. DNA analysis has identified three other species of fowl that may also be the progenitor of the red junglefowl and thus modern chicken. Chicken was popular--easy to raise and quick to maturity. It was taken to Africa; it was taken to Europe. Yet another variety of chicken has its origins in South America. The chicken, dear friends, is ubiquitous. If A = C, and B = C, does it not stand to reason that A + B = C? Yes, chicken soup is everywhere!! A first rate soup is more creative than a second rate painting. 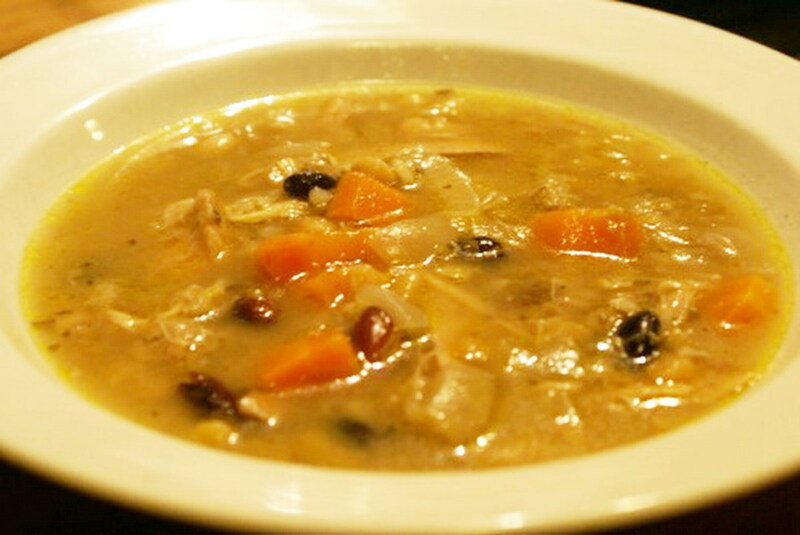 Place the chicken, onion, carrots, and celery in a stockpot. Pour in enough water to completely cover the chicken and vegetables. Heat to boiling over medium-high heat, then reduce heat to a simmer. 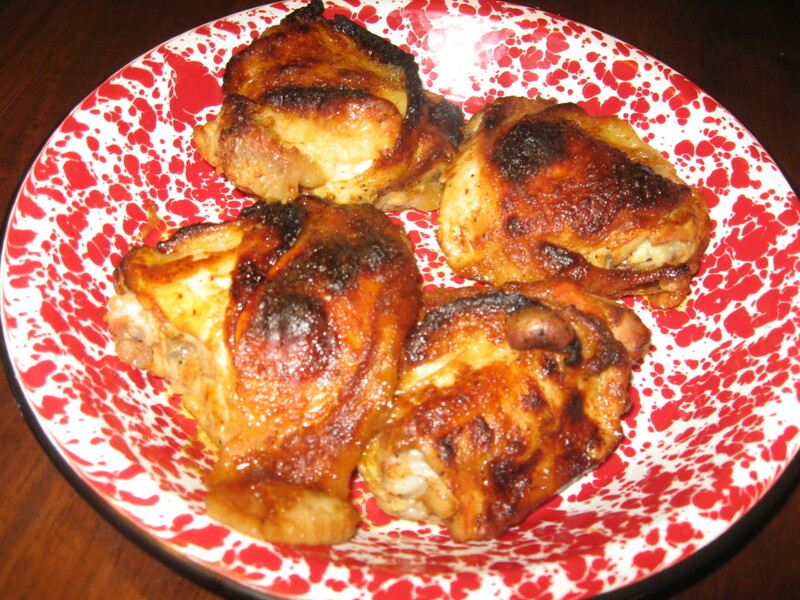 Cook for about one hour or until chicken is tender. While cooking, use a large spoon to skim any scum or large globules of fat from the surface. Carefully remove the chicken from the stockpot; set aside to cool slightly. Continue to simmer the broth. When chicken is cool enough to handle, remove meat from bones. Place in covered container and refrigerate. Return the chicken bones to the stockpot. Continue to simmer stock for one hour. Strain broth into several large containers. If not planning to use immediately, place stock-filled containers in a sink filled with cold water and ice. (This will speed up the cooling process.) Cover and refrigerate. Makes about 3 quarts (12 cups). NOTE: At the start of this recipe I recommended removing (and discarding) the bag of giblets. If you LIKE the taste of them, by all means, take them out of the paper bag and add to the stockpot with your whole chicken. I personally do not care for the taste of chicken liver cooked with my broth. To each his own. BY THE WAY--Are you wondering why we discard the vegetables, and then add vegetables to the stock to make chicken soup? The vegetables used in this portion of the recipe are completely used up. All flavor and texture have been rendered out of them. Allow them to rest in peace. Place flour, salt, and baking powder in the bowl of food processor. Pulse to combine. With machine running, pour in eggs. Process until mixture looks like fine crumbs. With machine running, slowly drizzle in the milk. Depending upon humidity you might not need the entire ½ cup. Add just enough to make a smooth, firm dough. Remove dough from bowl, wrap in plastic wrap, and let sit for one hour (this will allow the gluten in the dough to relax so that the dough is easier to roll out). 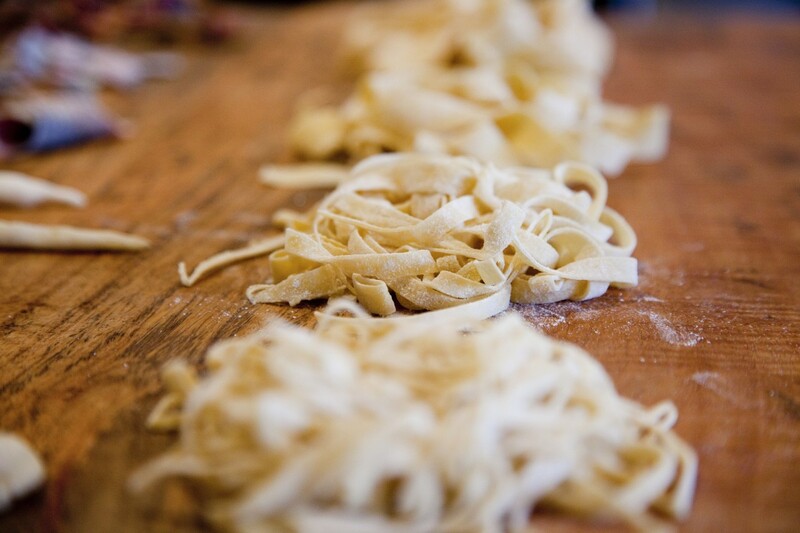 With a large rolling pin or pasta machine, roll dough to a thickness of 1/16th inch. Cut into ½-inch wide strips, and then cut each strip into 3 inch long pieces. Sprinkle flour over cut noodles and toss to coat (so that they don’t stick together) while waiting for water or broth (stock) to come to a boil. Drop into water/broth/stock by handfuls, stirring constantly. Boil 3 to 4 minutes or until tender. Heat the oil in large stockpot over medium heat. Add onion, carrots, and celery. Sauté, stirring occasionally, until vegetables begin to soften, about 10 minutes. Stir in thyme, bay leaf, and chicken stock. Bring to a boil. Stir in noodles and then reduce heat to medium. Cook, stirring occasionally until noodles are cooked (they will be soft, but not mushy). Stir in chicken, simmer for 2 to 3 minutes to heat the chicken. Add salt and black pepper to taste. Remove bay leaf and serve. Simmer 10 minutes or until pasta is cooked and kale is wilted/tender. Paula - Thank you for your kind words. Please try some of my recipes. They aren't difficult, and although they might not be as good as your mothers (they never are), I hope they might bring you some comfort and joy. Bravewarrior - You have taught me something today. I love your idea of straining the spent veggies from making the stock and returning them to the pot. I love being frugal. And as for using the stock on the dumplings--yes, that would certainly impart more flavor. Both excellent suggestions. Thank you so much for adding some great tips to my hub! Love chicken noodle soup!When I make my stock, I don't discard the spent veggies. I shove them through a sieve to add heartiness to the stock. Whatever doesn't make it thru, gets discarded. Now, I've got a hankerin' for chicken n dumplings. Even better than chicken noodle soup in my book. But I'll take either one, actually. A trick my grandmother taught me is to use chicken stock as the liquid for making the dumplings (we roll them out and cut into strips) instead of milk. Very yummy. Rachel - Not snow, rain. Tons and tons of rain. I live in the Pacific NW on the west side of the Cascade Mountains in Washington State. Guess that's why it is called the Evergreen State. Italian Wedding Soup does have little meatballs, but it also has spinach or swiss chard and tiny round pasta, but sometimes I have hamburg left over from my large meatballs and make small ones and save them just to put in the soup. Wow, you have a lot more snow then we did this year. Where do you live? Hi Rachel - Little meatballs--is that Wedding Soup? Yes, I've done that too. Yummy. 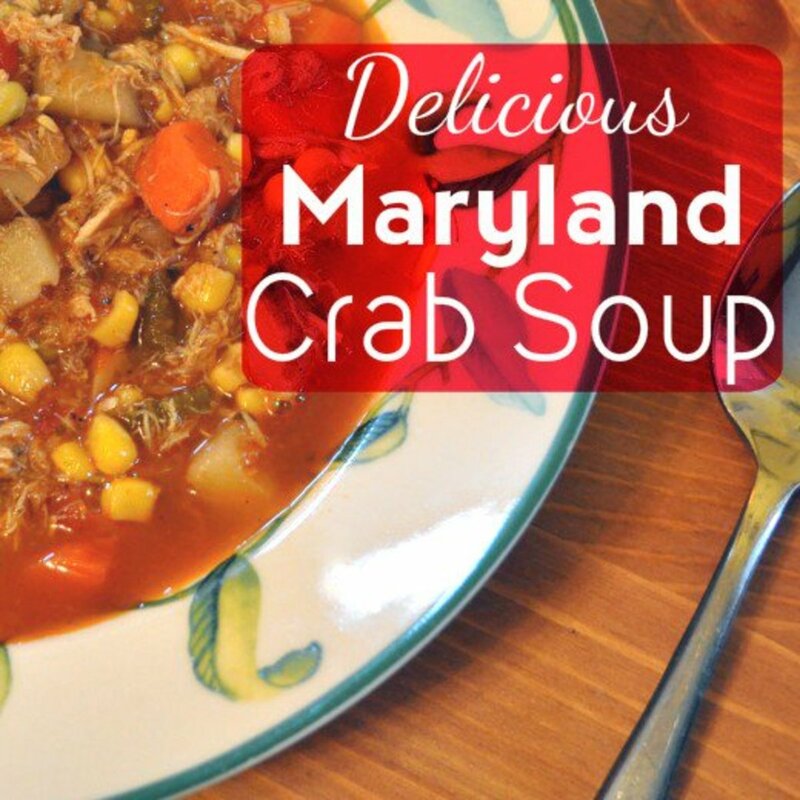 Nothing more comforting that a warm bowl of soup when "the weather outside is frightful." Yesterday we had a lulu of a storm. Since October 1 we have already received 110 percent of the precipitation typical for the entire water year (October through September). 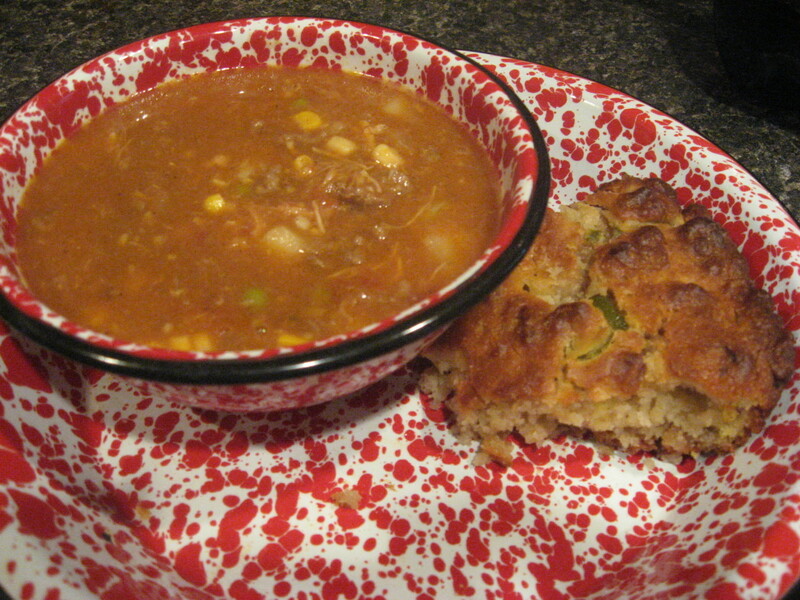 Hi Carb Diva, Chicken soup is almost a staple in my house, especially in the fall and winter months. I love all your versions of it, it sounds a lot like my basic chicken soup. Sometimes I add little meatballs to it. Thanks for sharing. Jodah - You may have my share of the giblets--gizzards and all. An acquired taste for sure. I am glad that you enjoy the history lesson. That's what I'm here for. Have a great weekend! 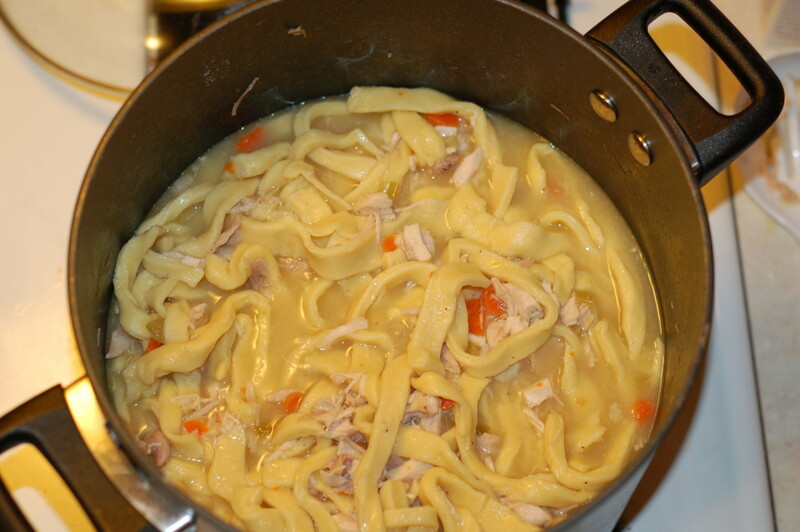 Peach - Yes, there is nothing like a pot of homemade chicken noodle soup. Eric - I love Pho'. 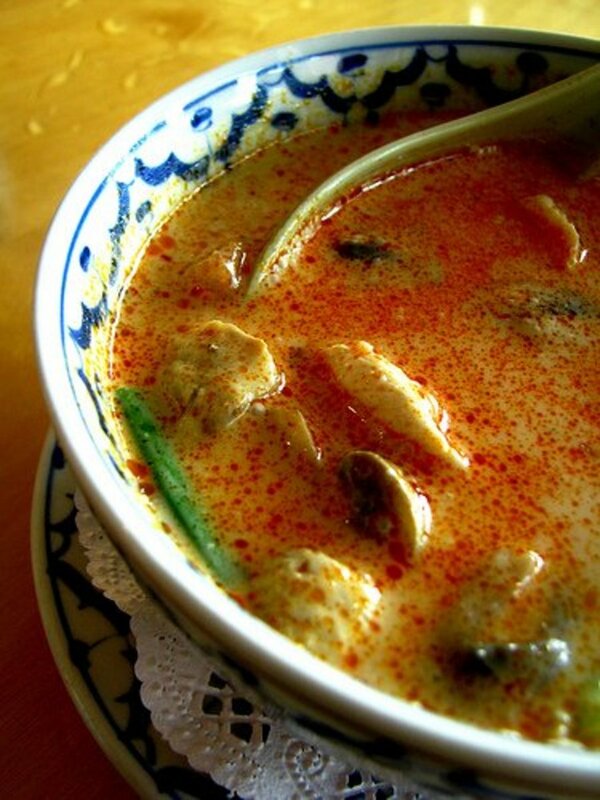 I just finished eating breakfast, but the thought of a steaming bowl of it makes me hungry again. Thank you for your kind words. I would like to think that my style is different from other hubbers who share recipes. I enjoy researching the history of the food we eat; it's something I am very passionate about. Bill - I totally agree. I'm pretty sure chicken soup has been referred to as Jewish penicillin. In doing my research I found information that there truly is something curative in chicken broth. Thanks and have a great weekend. Have a great weekend, Linda! My wife is our resident soup cooker. Those Vietnamese types love their Pho'. Right now there is none -- I must check to see if she is feeling alright. These are delicious recipes and as always written up in a wonderful fashion. You are the only recipe hubber I follow, you make it fun. Hi Carb Diva. I love chicken noodle soup..the basic recipe for me, but I would add the giblets especially the gizzards .. love 'em. I also like the bit of history that you add to your hubs, it's always interesting. Thank you.